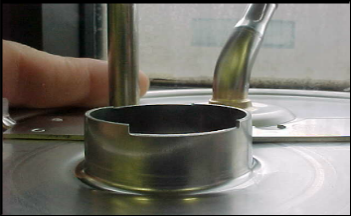 ﻿ Vapor Degreasing, Metal Cleaning | Auto-Tap, Inc.
Auto Tap's services include vapor degreasing, barrel batch shot blasting, third party sorting, tapping and drilling, packing and assembly as well as many other services to meet your metal cleaning needs. For a quick quote on any of our services, contact us today. We work with many industries and verticals ranging from automotive parts and agricultural equipment to consumer goods. At Auto-Tap, we handle a wide variety of parts like washers, brackets, shock towers, exhaust manifolds, engine manifolds, springs, luggage roof racks, auto parts, metric bolts, radiator housings and more. Call us today for more information. 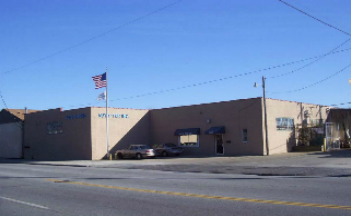 Since 1977, Auto-Tap, Inc. has provided quality metal cleaning and related operations such as vapor degreasing, parts sorting and packaging, tapping, drilling and assembling. Our experienced professionals offer fast turn around time, and in many cases, same day turn around, to meet your fast-paced, "just in time" needs. Auto-Tap is conveniently located in Cleveland Ohio's west side and is easily accessible between I-71 and I-90. Our facility features two docks to ensure rapid load and unload time for vans, trucks and semis. Contact us today at 216-671-1043 for more information about our services and for a quick quote. Auto-Tap is a ISO 9001:2008 certified company. Click here for a quick quote! Check out some of our additional solutions by visiting our services page. Contact us today at 216-671-1043 or send us an email at autotap@sbcglobal.net for a quote on any of our services. If you are looking for metal cleaning, rust inhibiting, inspecting and sorting for your parts, Auto-Tap, Inc. can help! Auto-Tap, Inc. delivers quality metal cleaning services at competitive pricing. Our fast turnaround time and attention to detail, coupled with our exceptional customer service, is unmatched.